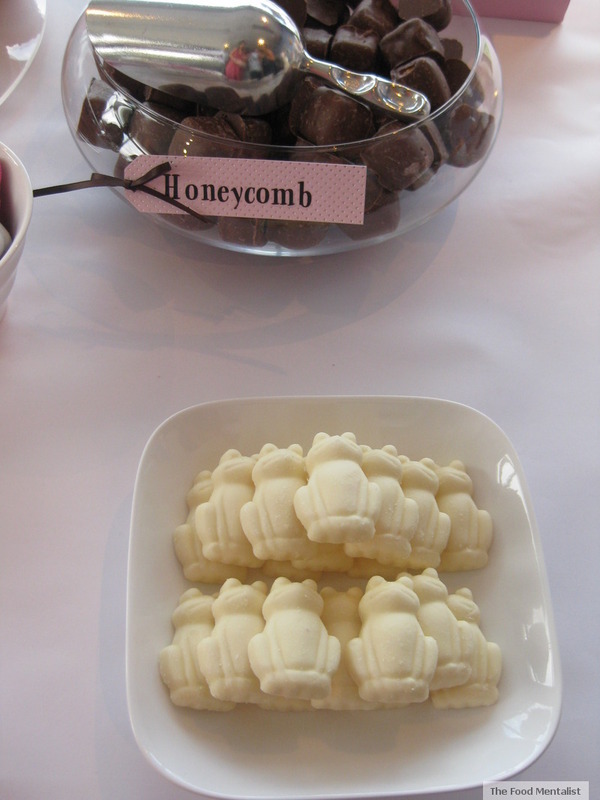 Those of you who know me are very aware of my love for all things sweet. My team at work has started an unofficial afternoon tea tradition where random sweets mainly biscuits, donuts and other baked goods appear just after lunch. Whilst this new tradition has dangerous waist-bulging potential it brings a little fun to the afternoon and its a great way to enjoy an afternoon cup of tea. 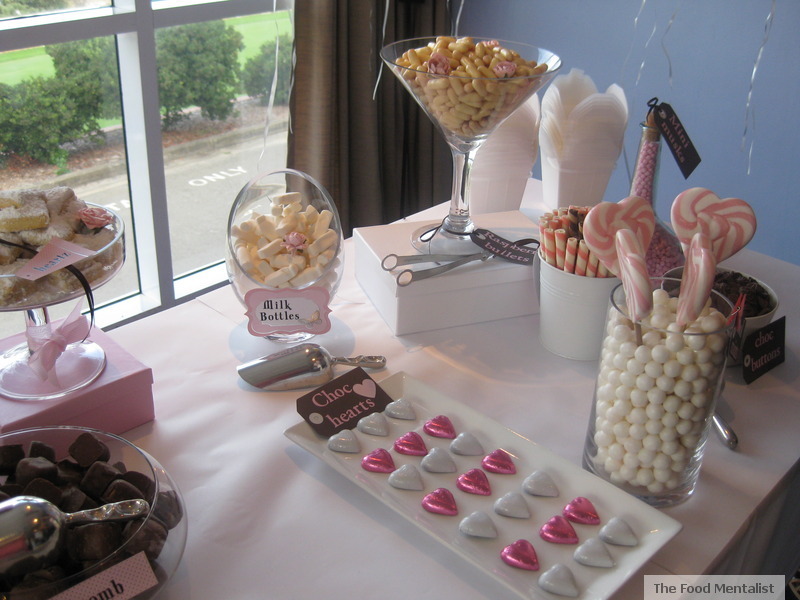 Speaking of all things sweet, I wanted to introduce you all to my first dessert and lolly buffet that I put together to help celebrate our belated wedding celebration earlier this year. 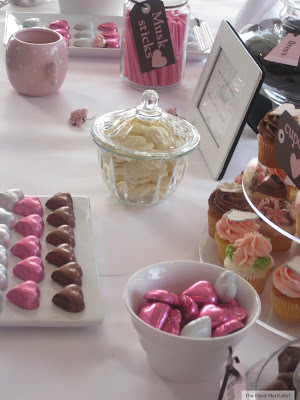 Inspired by the amazing designs of Amy Atlas Events I set out by searching the internet for online lolly stores and visiting old wares shops looking for cute glass containers and unusual bowls to house my sweeties. In keeping with the colour scheme of our invites - white, chocolate and pink colours dominated the dessert and lolly table. I ended up ordering some of the sweets online and the others I gathered from visiting Georgious Confectionery in Petersham, Lolliland in Smeaton Grange, and Fardoulis Chocolates in Kogarah, all in Sydney. I also pre-ordered some of Adriano Zumbo's famous Macarons in three flavours: Chocolate Poprock, Pink Finger Bun and Pancakes & Maple Syrup. These were the first to go! I managed to pick up some great glassware from old wares shops, Victoria's Basement and I even picked up one at Georgious, who sold me one of theirs! 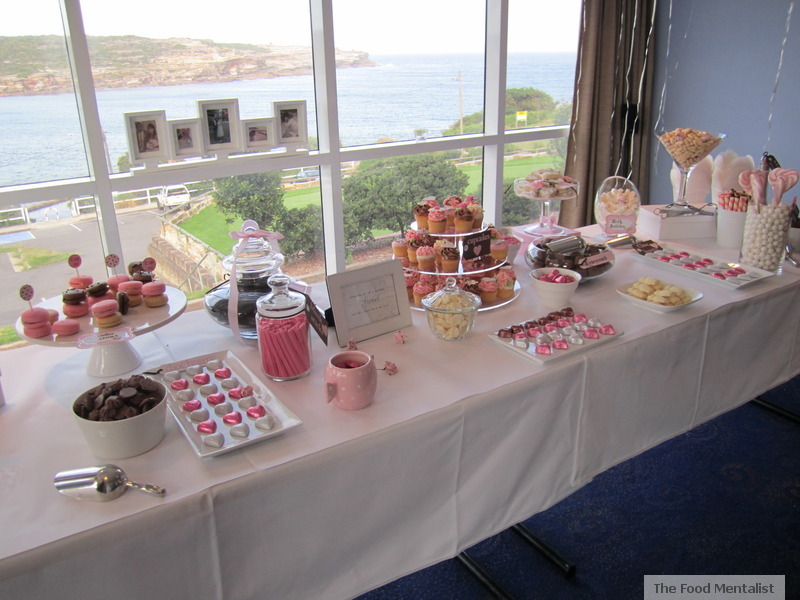 I placed pearl coloured plastic chinese noodle boxes on either end of the table for guests to fill up and take home. I picked these up from Big W and they were perfect for the table.I also purchased up some ribbon, labels, stickers and other bits and pieces at Spotlight. 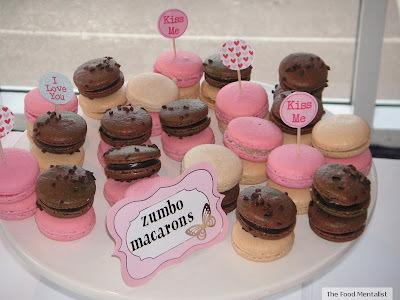 The Zumbo macarons vanished in no time! It was a LOT of work, but I really enjoyed putting this together and I'm looking forward to the next occasion where I can do it all over again. A great big thanks goes out to Girlfriday for helping me set everything up on the day. Tell me, what favourite lolly or sweet would you have to have on your dessert table? Wow ! What a layout -- it looks professionally elegant and so inviting! i love it, i am very inspired for my daughters 4th birthday! 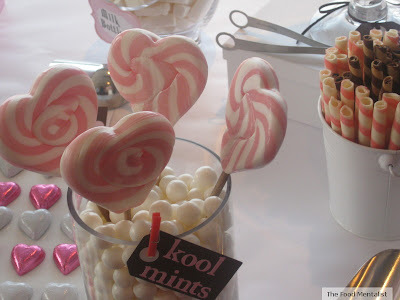 where did you get the heart lollypops? gorgeous! and that view!!! Double Ewe, Tee, Eff! That is a wonderful table. You pegged Amy Atlas dead on...she has some of the most beautiful creations, well done.